Through its singular and long-standing commitment to Aboriginal filmmaking, the National Film Board has been instrumental in providing Canadians a rich cultural resource and legacy: a comprehensive body of films inviting us all to share in the Aboriginal experience. Throughout the course of a number of NFB initiatives, the Aboriginal Voice has evolved. In 1968, as part of the Challenge for Change program, the Indian Film Crew was established at the Board’s Montreal headquarters. This marked the beginning of Aboriginal films being made by Aboriginal people at the NFB (and most likely in the rest of Canada). During the late ’60s, I was aware that an Indian film crew was working at the NFB. I just didn’t realize how important they would be to the future of Aboriginal filmmaking. The Indian Film Crew did indeed produce Indian content films, starting with These Are My People and The Ballad of Crowfoot. They also collaborated as advisors and on-camera subjects in a third film, You Are on Indian Land. In 1972 Willie Dunn co-directed a film that was remarkable in its presentation of Aboriginal voice and perspective and in its politics. The film is The Other Side of the Ledger: An Indian View of the Hudson’s Bay Company. In 1971, the Indian Film Crew project evolved into the Indian Training Program. Led by Mike Mitchell (an alumnus of the ’68 initiative), the trainees divided their time among several areas of the Board’s operations, gaining an all-round knowledge and experience of film production and distribution. The period between the Indian Training Program and the next major initiative in 1991 saw a mini surge in Aboriginal documentary filmmaking. It was during this time that a number of films marked the beginning of the distinguished career of Alanis Obomsawin. In addition, other Aboriginal directors began working with the Board on a freelance basis. In June of 1991 Studio One was born, established with one overriding objective: only Aboriginal filmmakers would make Studio One films. There was a concern among the Aboriginal filmmaking community that Studio One, headquartered in Edmonton, was not accessible to Aboriginal filmmakers living and working in other regions of the country. As a result the Board launched the Aboriginal Filmmaking Program (AFP) in 1996 as a replacement for the Studio One structure. The AFP was a well-funded program intent on expanding filmmaking opportunities for Aboriginal peoples. The success of the Program can be seen in the prevalence of AFP films in the CVs and resumés of most of the Aboriginal filmmakers working today. In early 2005, the NFB's English Program announced the inauguration of First Stories. Through this new program, young Aboriginal filmmakers from Alberta, Saskatchewan and Manitoba were invited to a series of intensive film seminars during which proposals were submitted for the production of short 5-minute films. Four films were made in each province. As a follow-up, the Second Stories program gave those 12 new filmmakers the opportunity to propose more complex, in-depth half-hour documentaries. Three were chosen and recently produced, two of which have already had festival screenings. From my own experience with an early film like Foster Child and the more recent Totem: the Return of the G’psgolox Pole, I am very much aware and appreciative of the fact that these films could only have been made by the National Film Board of Canada. As Aboriginal people and filmmakers, we are blessed that the NFB’s commitment to Aboriginal filmmaking is one that continues to this day. Gil Cardinal (1950-2015) was a director and writer based in Edmonton, Alberta. 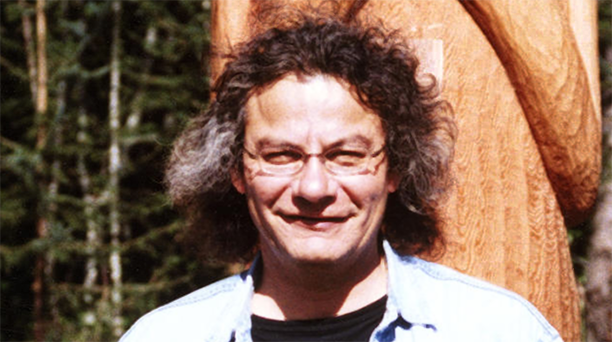 Of Métis descent, his documentary and dramatic work relates to Aboriginal issues and themes. 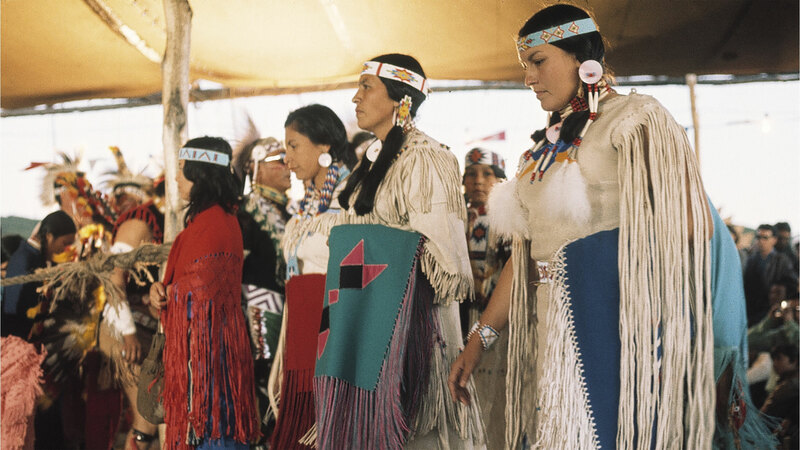 Circle of the Sun marks the first time the Sun Dance ceremony of the Blood Indians of southern Alberta is documented on film. Directed by Colin Low, it begins with a ‘Voice of God’ narration, typical for films of that period. But then, the featured character of the film, Pete Standing Alone, takes over telling the story… and perhaps for the first time, the Aboriginal voice is heard, telling its own story. As the confrontation between Mi’gmaq fisherman in Burnt Church, New Brunswick and federal fishery officers comes to a head, the Department of Fisheries and Oceans’ boats violently ram and run over the much smaller boats of the Mi’gmaq fishers. Watching the footage, I’m reminded of the brutal scene during the Oka Crisis where the Kahnawake Mohawks are stoned as they cross the Mercier bridge [see Alanis Obomsawin’s Rocks at Whiskey Trench].